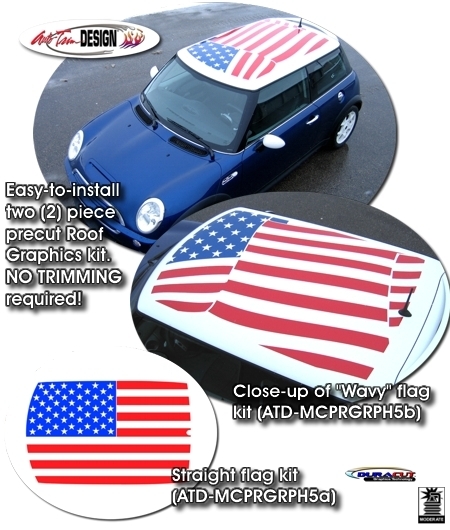 This United States Flag roof graphic kit will look great on your '59-Current Mini. Graphic kit, available here in two (2) schemes, is designed for the Mini's White roof and is provided in Sapphire Blue and Red. Kit is moderately easy to assemble and install. Helpful general online application and care instructions are included. This graphic kit will not fit the Mini Clubman and will require slight trimming on Mini's with a factory sunroof.